After a civilised cup-of-tea, wench 2* uttered the longed for words ‘Fancy the pub?’ I’ve never seen two wenches move so fast, although given Paula Radcliffe’s performance in today’s London Marathon, I’m probably exaggerating this point a little. Wench 2 took charge and muttered something about shovels. 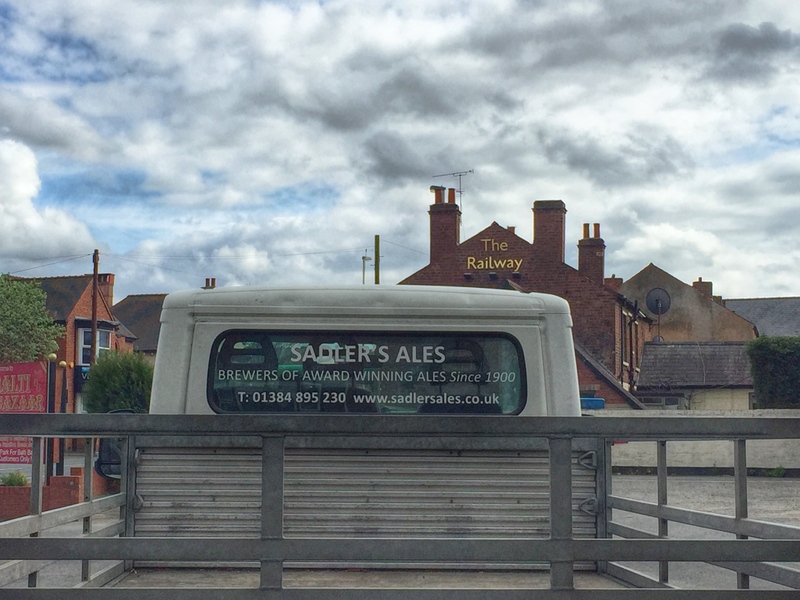 My slight concern that we were, in fact, on our way to B&Q (other retailers are available) was quashed when I spied the two shiny shovels on the gates of The Shovel Inn in Lye. Wench 2 was designated driver and found a spot for the chariot on the car park of the boarded-up Bull’s Head pub (RIP). 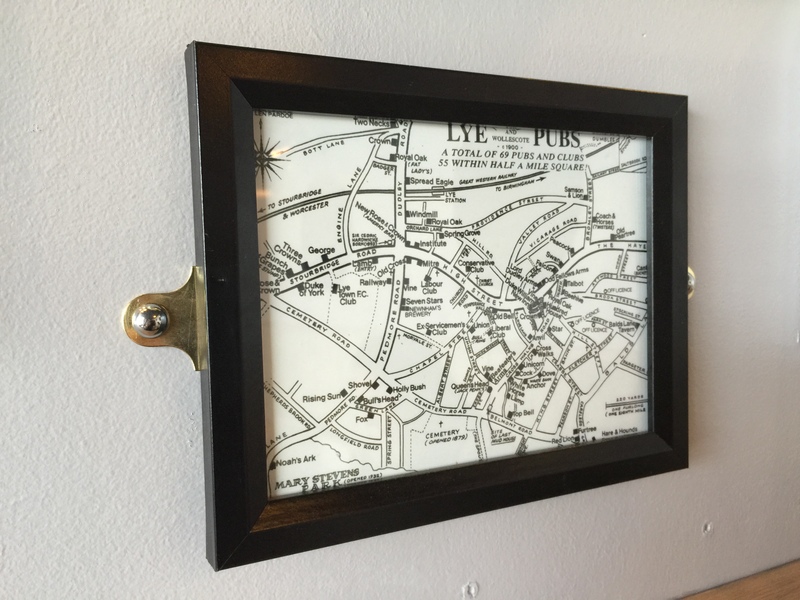 Being a Shovel virgin, wench 2 told me to check out the ‘map nook’ to the rear of the pub where, surprisingly, I found a number of maps. 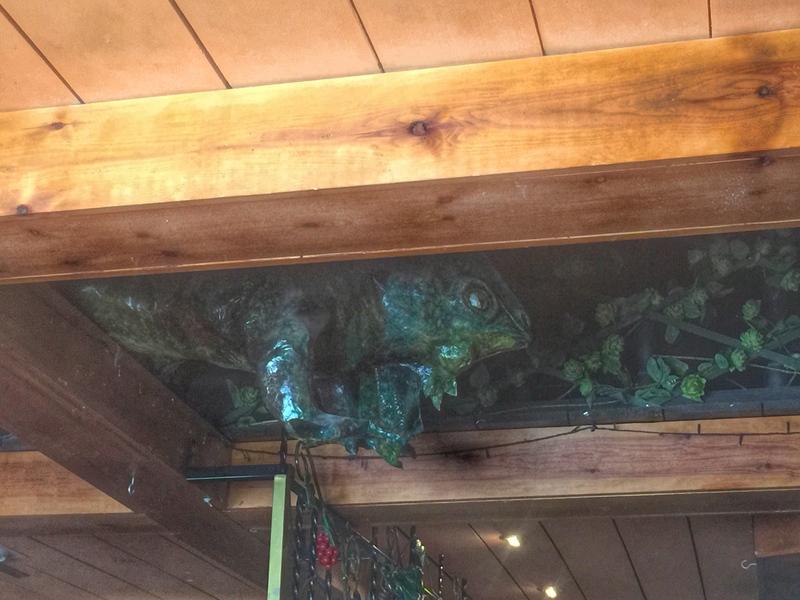 She also pointed out the iguana poking out from the ceiling. Well we’ve all had something pesky on our ceiling at one time or another haven’t we? 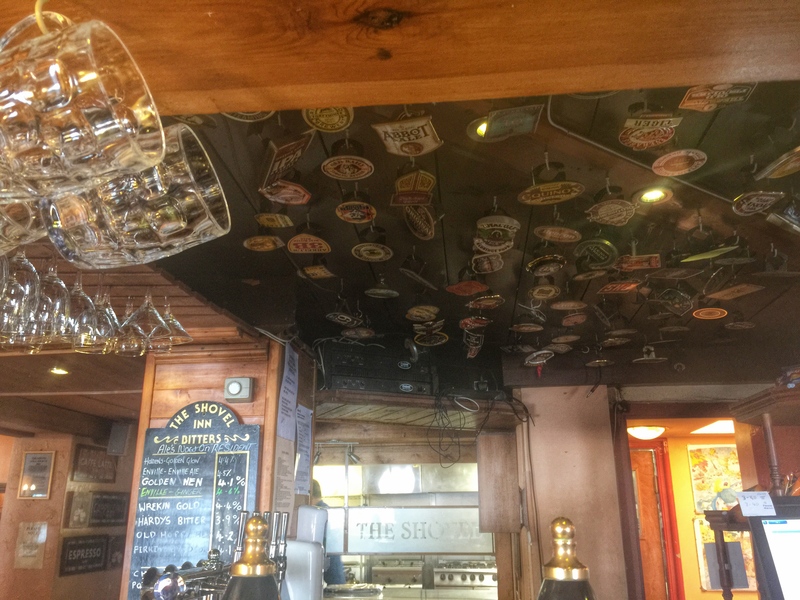 The ceiling also stored a number of beer pump clips which I quite liked. Hope they am stuck up there good and proper. Yow dow want em falling on your bonce do yow? 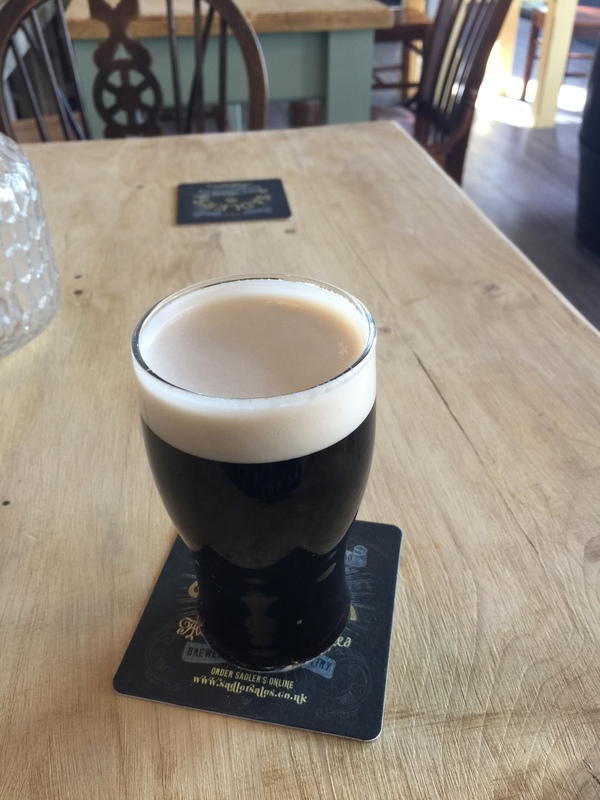 We settled to peruse the ‘beer menu’ and the very friendly man behind the bar gave us some much needed advice, especially when we made the fatal error of not checking which ales were actually on. I settled on Dr Morton’s Cask Paint Firkin Aerosol (Abbeydale Brewery). Being selfish I’ve completely forgotten what wench 2 had but she may be tempted to comment herself! 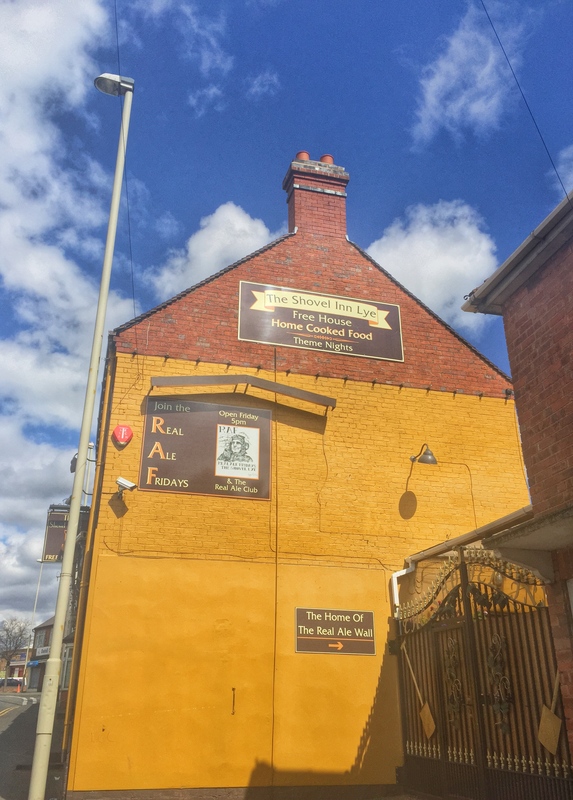 The cob is a staple Black Country lunch, but inspired by Firkin Aerosol’s description ‘So vivid! 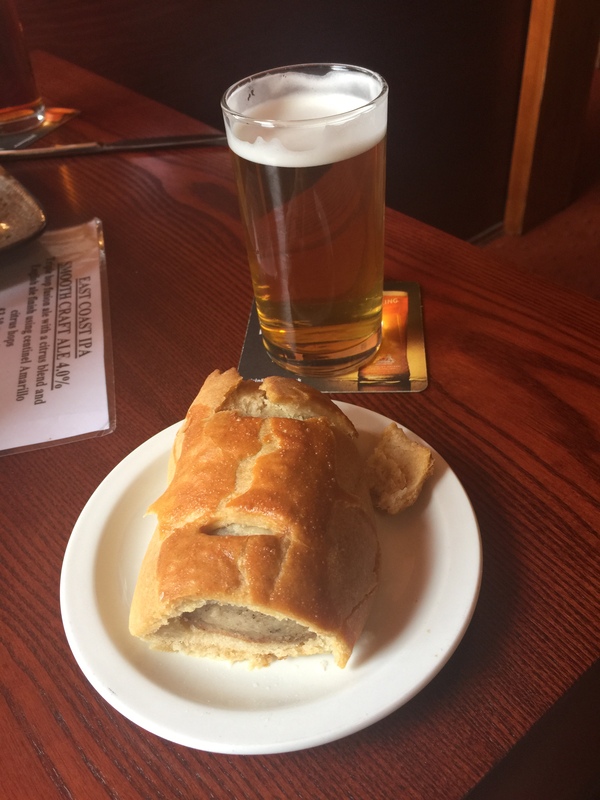 Spray with gay abandon!’ I threw caution to the wind and opted for the homemade sausage roll. It was well worth the £1 and I’m sure I spied wench 2 cast an envious glance over her beef cob. The Shovel apparently does curry nights too so I must give that a try. 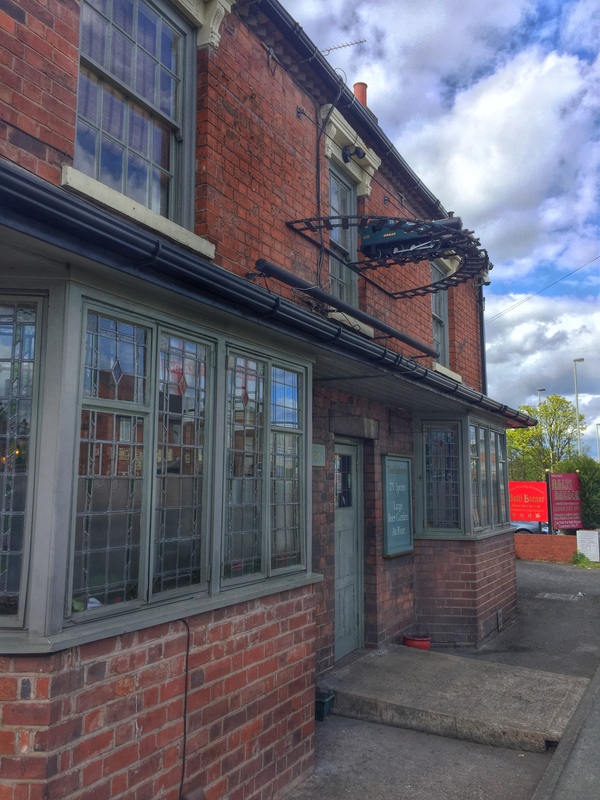 We decided to walk off the beef and sausage, and head to another Lye pub, passing, on our way, The Railway public house (one for another day we thought). I do like the model train above the door. 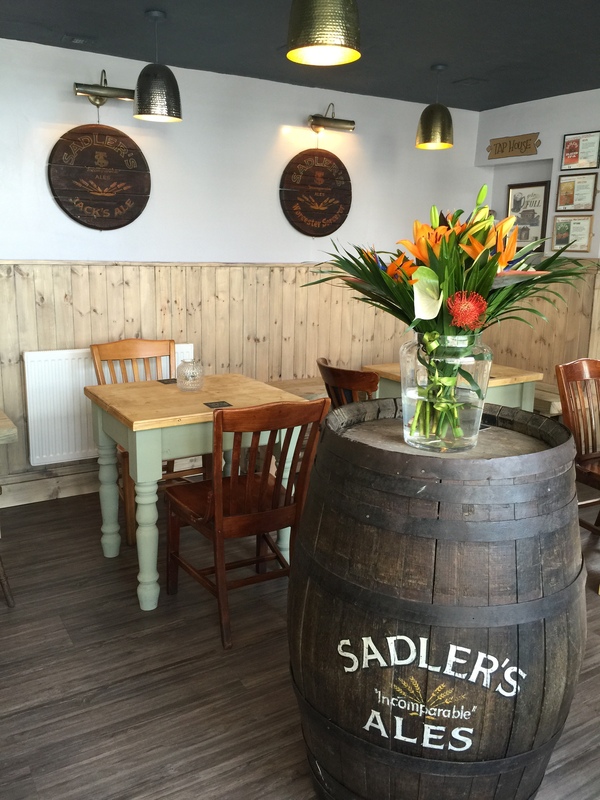 It was on to Sadler’s Ales Tap House, The Windsor Castle Inn that we headed. 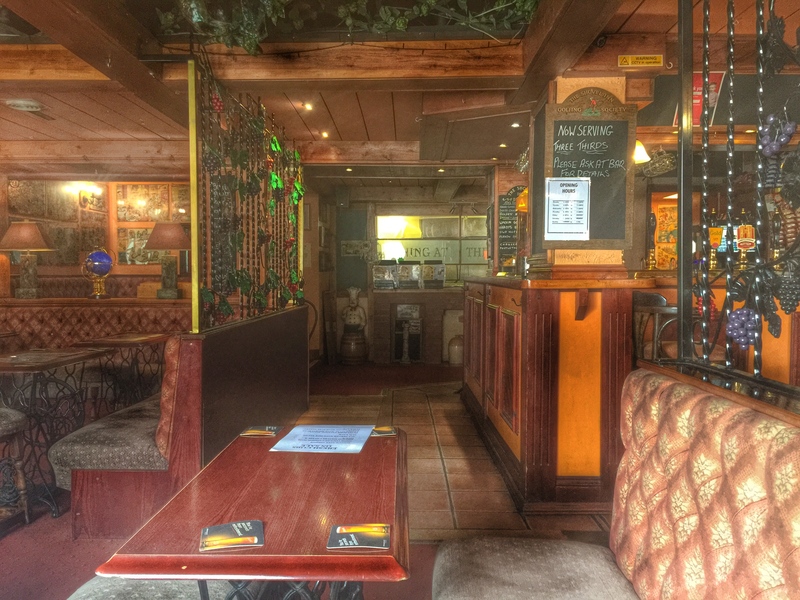 I was pleasantly surprised by more modern interior which hasn’t gone too far, still retaining some Black Country charm. 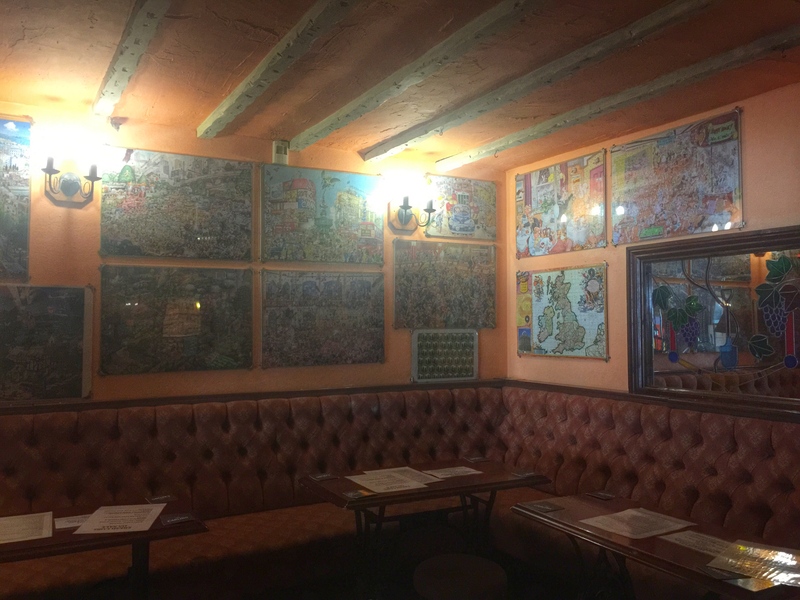 Loved the wall of old pictures and the map of Lye! 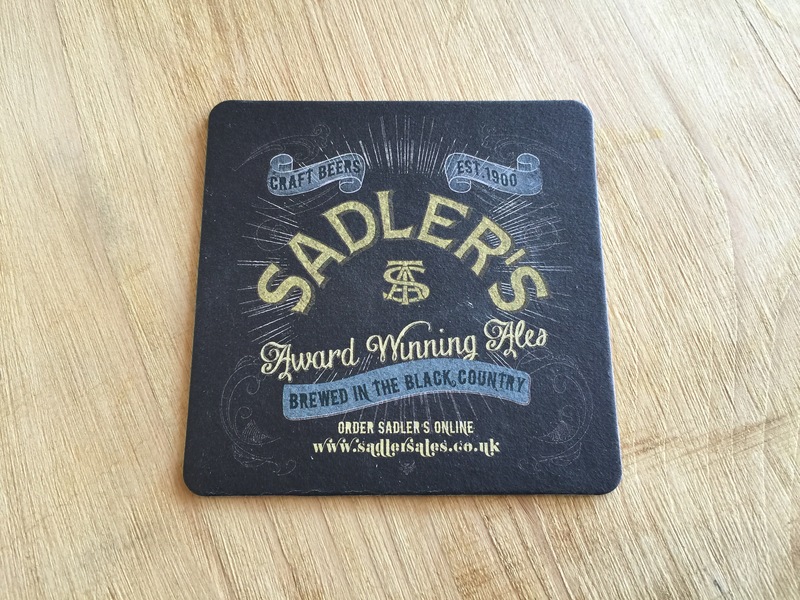 So when in a Sadler’s pub there’s only one thing a Black Country wench can do, and that’s to stay true to the house. 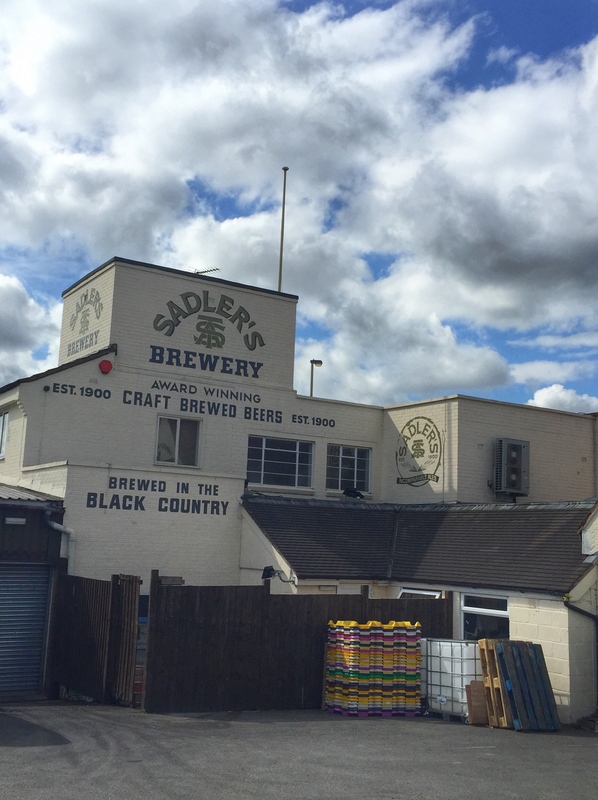 A half of Peaky Blinder (Sadler’s Ales) went down a treat while wench 2 stared with open hostility over her coffee cup. She soon cheered up when we discussed planning a return Lye pub crawl, minus the car of course!